New Hampshire Here I Come! I started my research for the next bookstore in the usual way – Googled “Best Independent bookstores in New Hampshire.” First in line was a Yankee Magazine review which I’d seen during another such search. Sadly though, the only New Hampshire bookstore listed there had a note beside it ‘’Closed,” which reminded me that I sure hope all the bookstores I’ve contacted during my literary road trip are still open when I’m finished. It is taking a while. So, I moved on to the New England Independent Booksellers Association’s website where I found a long list of bookshops under the sidebar: Find Local Stores. Charmed by the names of the towns in New Hampshire (so far from Seattle) that I spent some time imagining what these places might be like: Center Harbor, Concord, Durham, Exeter, Keene, Laconia, Meredith, Milford, Nashua, New London, North Conway Village, Peterborough, Portsmouth, Warner and Wolfeboro. Then I looked through the names of the bookshops: Bayswater Book Co., Toadstool Bookshop, Innisfree Bookshop, Sheafe Street Books. I felt particularly drawn to RiverRun Bookstore in Portsmouth. So I went there. RiverRun’s website is simple but attractive: photos scrolliing past across the top banner. First, two author photos: one author looking intense and the other looking playful while sipping an espresso. Then up pops a graphic for a book imprint Piscataqua Press – We publish books! 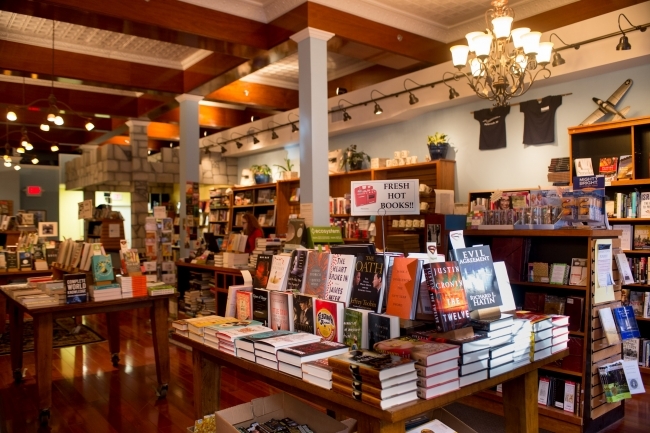 My eye travels down the page and lands on this: Welcome to RiverRun Bookstore, Home of the Brave. We’d really love to see you in person but if you can’t make it to Portsmouth we hope you will take advantage of our home here on the web to buy books, read our recommendations, and leave us a note. This welcome makes me smile and I know I don’t really have to check out any of those other New Hampshire bookstores on the list. I have found the right place. I spend some time watching as photos of authors and their books scroll through, along with appearance dates. Clicking on the “Events” button leads me to a new page where I discover that RiverRun hosts over one hundred author events each year! Hooray! Now I’m wishing for a trip to Portsmouth. The next event I see features an author and her dog Finnegan. Now I really want to read these children’s books: The Adventures of Finnegan Begin and Finnegan for Mayor! The dog is adorable. I love dogs. Now I like this bookstore even more. But I continue moving around the website just to see what else they offer. The “About Us” page tells me that they are “living the dream!” That is, they’re doing what so many of us wish we could do: run a bookstore! 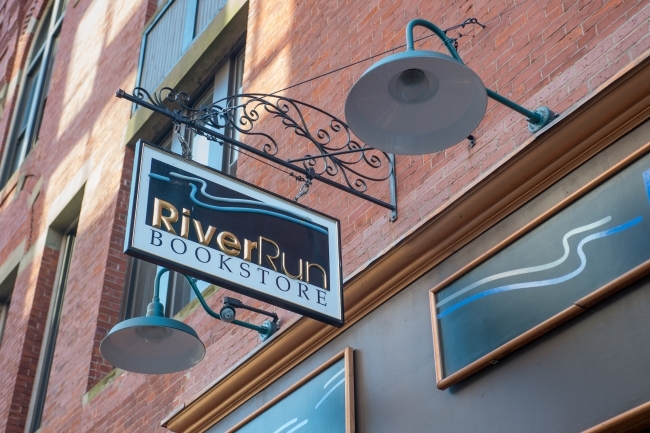 Over twelve years ago the owners took the plunge and opened RiverRun. All it took, they say, was “guts and faith in the community.” Lovely. I make the call. I explain my project to Judy who answers the phone and is immediately enthusiastic about helping me. She asks for my phone number so she can do a little research, talk to some of the other booksellers and get back to me. I always like this response. Judy is taking my request seriously. When she calls me back later in the day, she suggests four different authors, two I’ve heard of: John Irving (of course!) and Grace Metalious, whose name doesn’t ring a bell until Judy invokes the name of her racy blockbuster novel, Peyton Place, and I can’t help but snicker. The other authors are: Ernest Hebert, Rebecca Rule and Jessie Crockett. Never heard of any of them and that’s excellent. I love discovering new authors. Judy then suggests I take some time and research the authors she’s mentioned and get back to her when I decide which books to order. This is a great idea and after some time spent scrolling around the internet, I go for Ernest Hebert and, of course, Peyton Place! I’m too young to remember when this novel first came out, but I do remember that there was a television series in the sixties which the moms in my neighborhood talked about in hushed tones, so that I knew it must be something forbidden, even dirty! Of course, I confess, this intrigued me enough at the time that I looked up the book at my neighborhood library and flipped through the pages hoping to find the good parts. Maybe it’s about time I read the whole thing. After all, Wikipedia tells me that the novel sold over 60,000 copies on the day it was released and is really meant to be a composite of all small towns where ugliness rears its head, and where the people try to hide all the skeletons in their closets. It’s based on and was written in several small towns in New Hampshire. 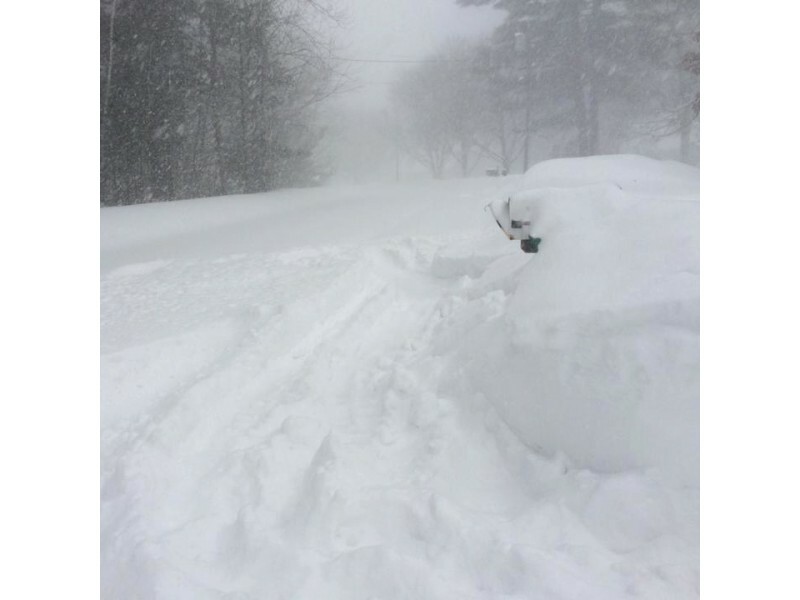 Judy tells me to expect a delay in getting the books because, what with the latest snowstorm in the Northeast, mail is neither coming in nor going out of Portsmouth that day. 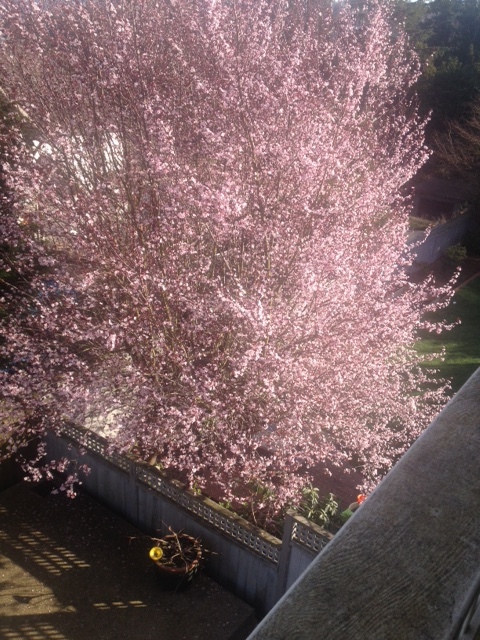 I mention that I’m calling from Seattle and tell Judy that it’s a gorgeous sunny day here with an expected high near sixty and that I’m looking out my window at my neighbor’s plum tree in full bloom. Judy is happy for me, but says that looking out the window at RiverRun, all she sees is white.